Catherine McAuley is the founder of the Sisters of Mercy. The resources on this page share ways to engage students on her life, ministry and spirituality. 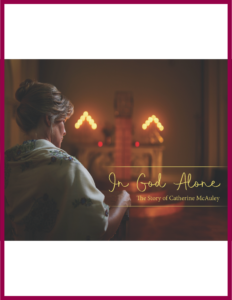 The film In God Alone – The Story of Catherine McAuley is available online. There are two versions of this 23-minute film, one in English and one with Spanish subtitles; you can view them here.